The opening weekend at The Workshop was fantastic. Lots of people came to see the space and try out clay stamp making. This great technique can be applied to a variety of future projects, even creating journal covers--this week's guided project. As part of our Open Studio, visitors can decorate and personalize a journal using any of the supplies in our open art area. This week The Workshop will have Open Studio hours Tuesday 6-9pm, Wednesday and Thursday 10am-5pm, Friday 9am-noon and 3-8pm, Saturday 9am-2pm, and Sunday 1-4pm. 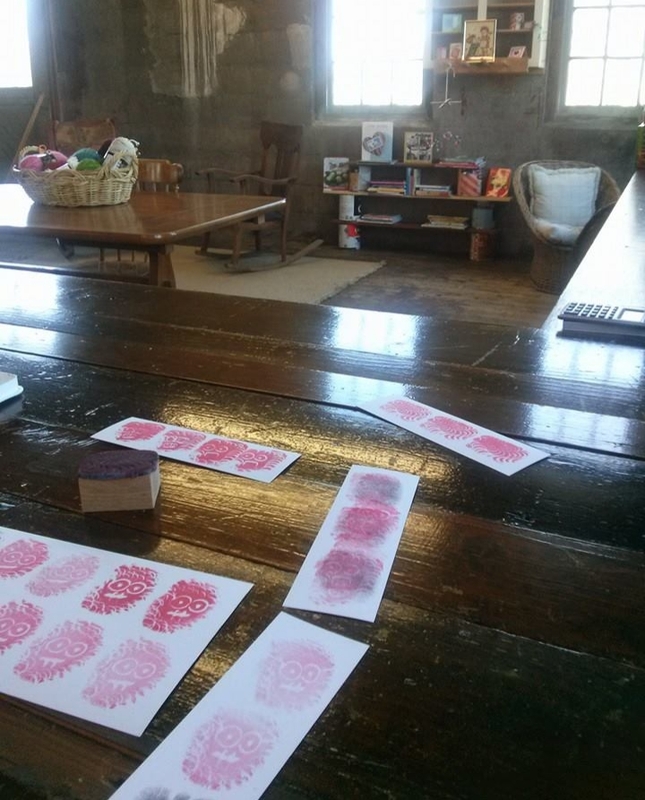 During Open Studio we have work space for artists and crafters. We also have supplies and tools for visitors to use. Cost is $5 for up to 2 hours and $1 for each additional hour. Also, on Sunday, March 2, 2-4pm The Workshop is hosting an upcycle sewing class. Give life to an old button down shirt by turning it into a decorative pillow sham. This is a simple project, great for beginners, but all levels of expertise are welcome. Cost is $6 for the class and $6 for materials (material fee waived for those who bring their own shirt and pillow insert). If you're interested in joining the class, send us an email at workshopcolumbus@gmail.com.